Tickets available for purchase here. Online ticket sales are now closed but a limited number of tickets will be available at the door. Doors open at 5:30pm – please make sure you have a copy of your receipt or photo ID to present at check-in. The debut novel from the frontman of the Pixies involves a French battleship explosion, the first narrative pornographic movie, and more. The conversation between Francis and co-author Josh Frank will be accompanied by a slideshow of Steven Appleby’s drawings featured in the book, and the program will conclude with a signing. 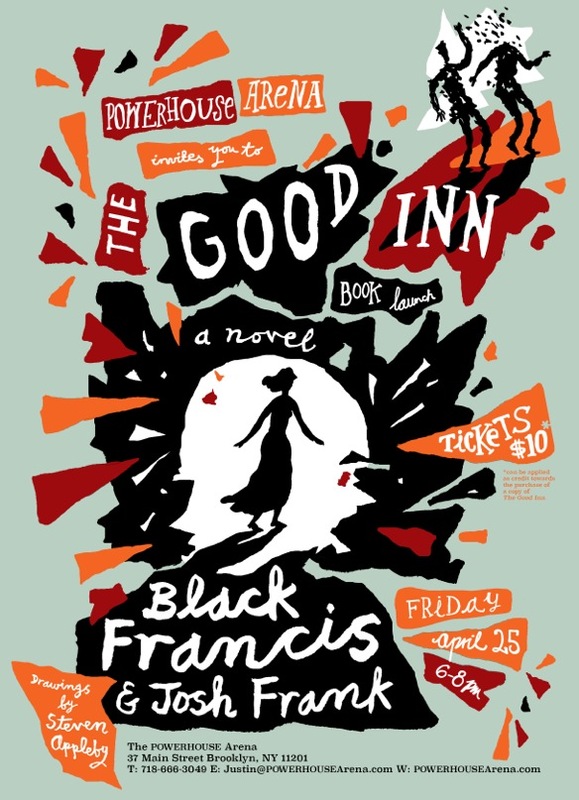 Created in the explosive space between the surreal and the concrete, The Good Inn follows Soldier Boy—the lone survivor of the explosion of the battleship Iéna—as he wanders aimlessly after the accident, falls deeply for an innkeeper’s daughter, and even more deeply into a bizarre, alternate universe he discovers through a hole in his bedroom wall. The world he finds exists at the intersection of art and violence, and introduces readers to the very real (and surreal) characters who created the first narrative pornographic film. The Good Inn weaves together real characters from the history of French cinema with darkly whimsical illustrations by Steven Appleby and recreates the lost story of La Bonne Auberge, as seen through the eyes of a shell-shocked soldier. Through Soldier Boy’s journey as the subject and star of the world’s first stag film, we explore the power of memory, the simultaneously destructive and healing power of light and how the early pioneers of these stag films helped shape their industry for generations to come. Blurring the lines between fact and fiction, film and prose, reality and surreality, The Good Inn bends readers’ minds and holds its own against the best surrealists—from Lynch to Dali to Serling. It is sure to challenge our conceptions of history, highbrow and lowbrow and how we consume art in all its forms. Black Francis (born Charles Thompson and a.k.a Frank Black) is the founder, singer, guitarist, and primary creative force behind the acclaimed indie rock band the Pixies. Following the band’s breakup in 1993, he embarked on a solo career under the name Frank Black. 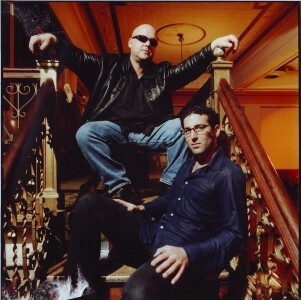 He reformed the Pixies in 2004 and continues to release solo records and tour as a solo artist, having re-adopted the Black Francis stage name in 2007. Josh Frank is a writer, producer, director and composer. He is the author of Fool The World, the Oral History of the Band Called Pixies and In Heaven Everything Is Fine: The Unsolved Life of Peter Ivers. Frank has worked with some of the most interesting and innovative musicians, filmmakers, producers, and artists in the industry, including Black Francis, David Lynch and Harold Ramis. He has interviewed over 400 of America’s most notable names in entertainment for his books and screenplays.